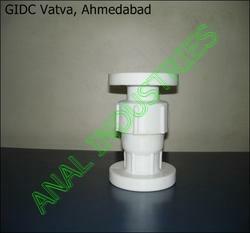 Leading Manufacturer of hdpe / pp ball valves, hdpe / pp nrv valves and hdpe pp non return valves from Ahmedabad. 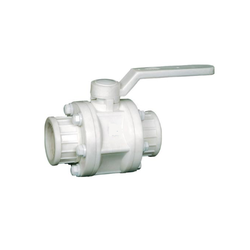 With immense support of our professionals, we are offering a superior range of Ball Valves. The offered range is developed utilizing high grade raw material and innovative technology in tandem with the industry laid norms and standards. Moreover, the offered range of ball valves is available in different customized specifications such as sizes, shapes and allied in accordance with the emerging requirements of esteemed clients. NRV Valves Holding years of experience and knowledge in this industry, our company has been able to mark its strong presence in the market as one of the most excellent manufacturers and exporters of Foot NRV Valves. Manufactured using quality tested materials, our valves ensures smooth and leak proof performances. 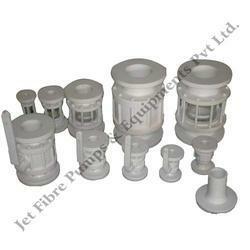 The Non-return Valves (NRV) that we offer to our clients is manufactured using superior quality raw materials. These are in accordance with the set industry standards and offered to them in different specifications. Our range is precision engineered and tested on various parameters to ensure durability, smooth functioning and leakage proof performance. Looking for NRV Valves ?